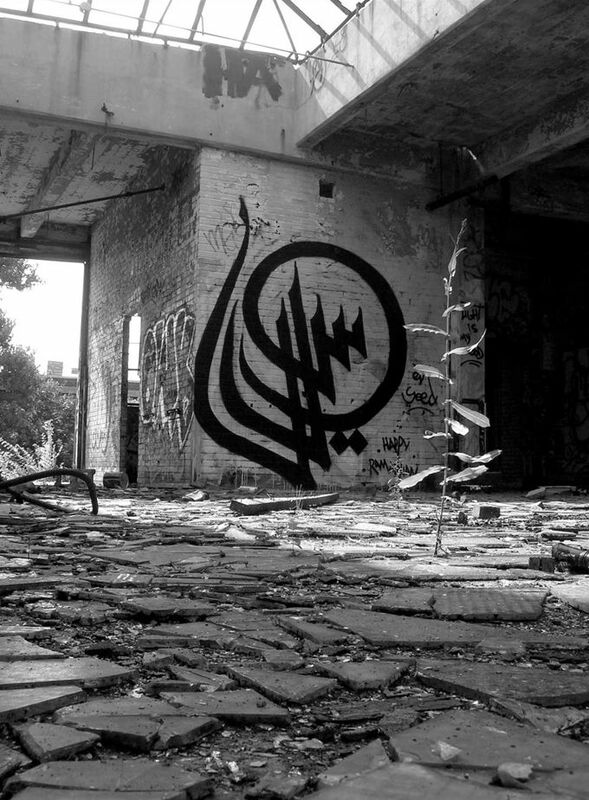 He created this as a reaction to clashes that ensued at an artfair between the artcommunity and Salafists that believed the artwork shown to be insulting to Islam. With the above tekst he wanted to put the emphasis on tolerence and respect. Mind you, this project was beforehand approved by the gouvernor and the imam. At the moment he is working on making sculptures of his calligraffiti; the almost end result is magnificent, what a fantastic idea!